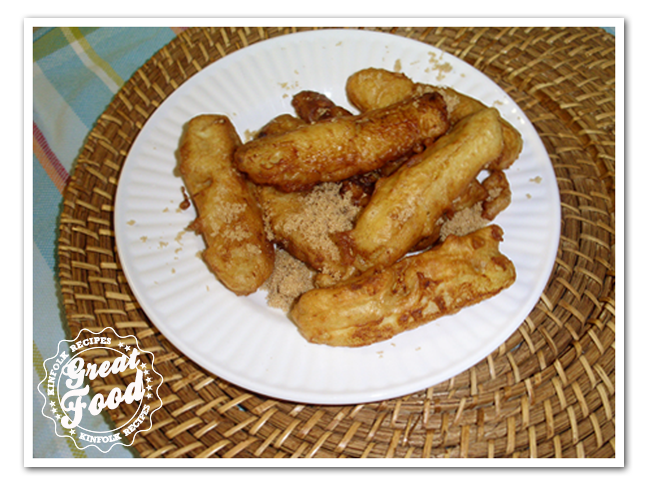 Fried bananas is one thing that always should be included with the traditional “rijst tafel”. 2. Cut the bananas in 4 and put in the batter. Fry in the hot canola oil. Untill nice and brown, sprinkle with brown sugar. 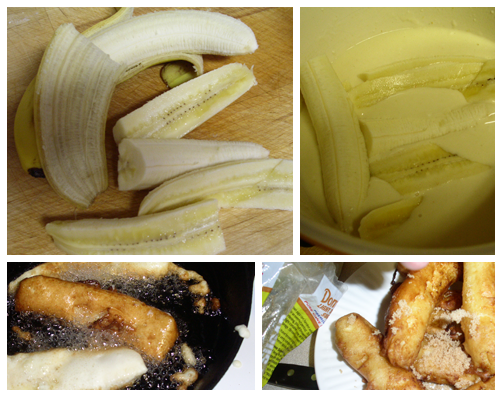 Fried bananas should be included with the traditional "rijst tafel". 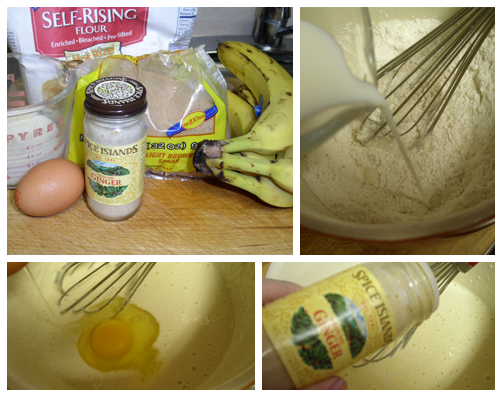 Cut the bananas in 4 and put in the batter. Fry in the hot canola oil. Untill nice and brown, sprinkle with brown sugar.